As much as I love shopping online, the unhappy side effect is the pain of missing the postman. You miss the delivery, and then either have to wait round for hours for the re-delivery or have to trek to the post office and then spend half a day waiting in line. It gets to the point that it would have been quicker to just buy your stuff in an actual shop. 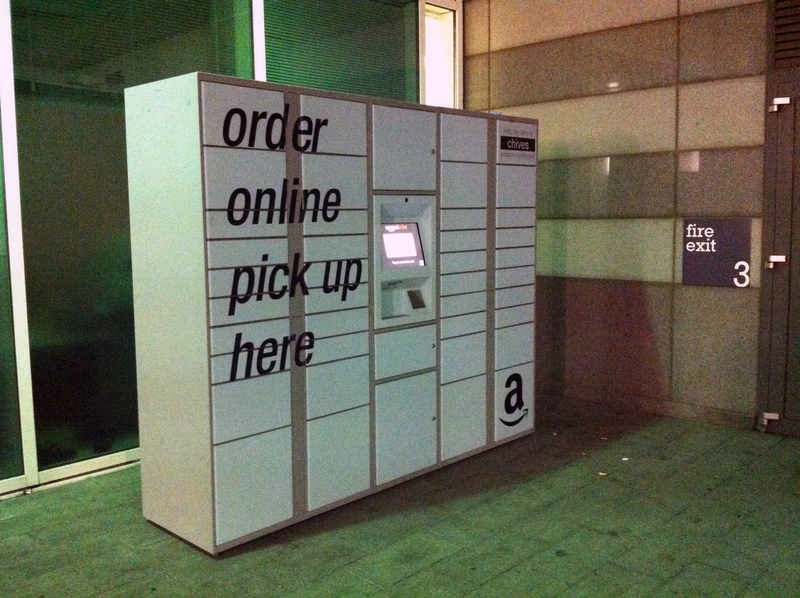 Thankfully Amazon has the solution, the Amazon Locker. They are dotted all throughout London and look like very minimalist wardrobes. You order online, your order gets shipped to the Locker location you have selected, you get sent a code and then you just go to the locker and enter the code and the door opens like magic. Very very convienient and takes all the pain out of the internet shopping schbang. 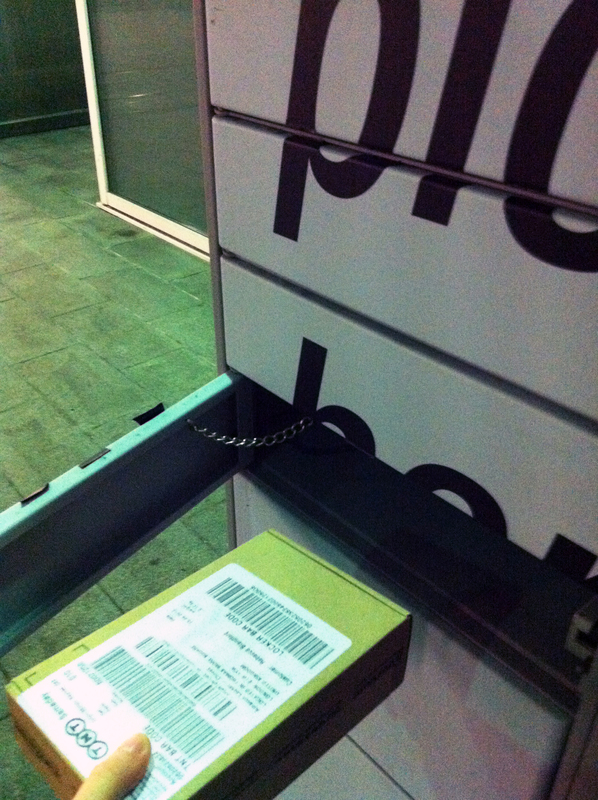 The best part is that in the UK they are delivering to Amazon Lockers for free for the next month or so – try it! I need that! It would save me hours on the phone having conversations in mangled Japanese! Amazing right? Solves a problem that is an increasingly large part of my life – particularly for expats because the Internet solves all our problems! This is such a great idea, my Fiancé is addicted to Amazon so we get LOADS of missed packages!